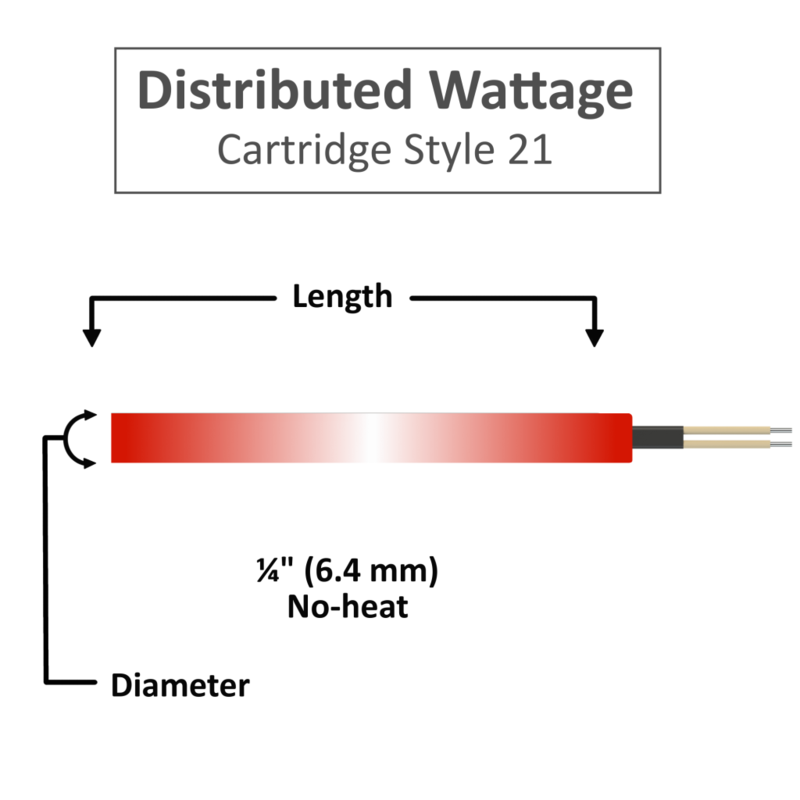 Distributed wattage cartridge heaters are designed with the watt density varying along the full length of the cartridge heater. The design compensates for heat losses along the edges of heated parts. This is ideal for seal bar applications. Cartridge Heater Distributive Wattage – Style 21 This Style is typically used in platens and sealing bars. When requesting this design, specify desired lengths in inches and wattage percentage.